At least one in five credit card customers are carrying the wrong card, according to the J.D. Power 2016 U.S. Credit Card Satisfaction Study,SM released today. More than 20% of customers have a card which has fees or rewards not aligned with their actual purchase habits. The study finds that while their levels of satisfaction are not dramatically different, customers who have a wrong card, compared with those with a card better suited to their needs, spend less per month on their primary card ($783 vs. $1,035), use their card for a smaller share of their total spend—cash and debit card spend—(37% vs. 45%) and are more likely to switch cards (21% vs. 9%). Rewards programs are the primary reason customers select a credit card, yet 20% of customers who have a rewards card would better benefit by having a different rewards card or a lower interest rate card without rewards. 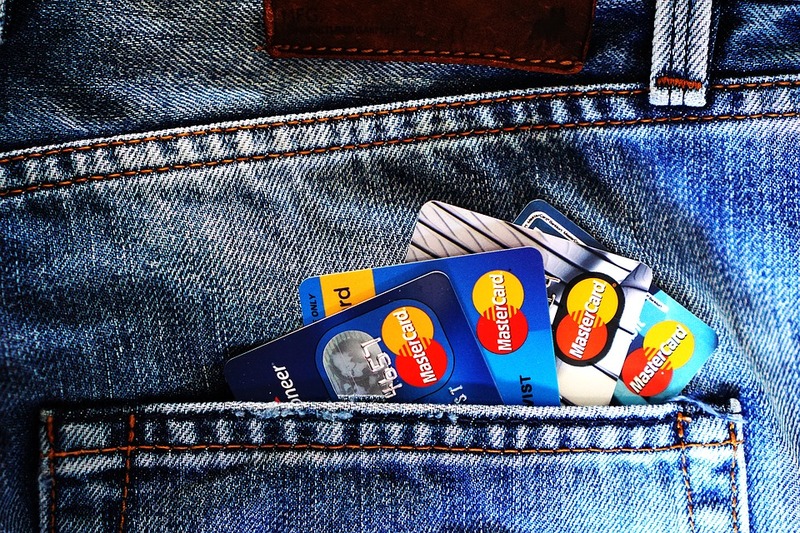 These customers are either not spending enough to earn rewards to offset their annual fee, are creditworthy but paying a high interest rate or are not using the rewards and benefits associated with their current card. Miller notes that customers are carrying the wrong card for a variety of reasons, often because either their needs or financial situations have changed since they signed up for the card; they signed up for a rewards program they no longer use; or the card’s fees or rewards programs have changed and the card has become less attractive. Customers may also have opened a new card because of a promotional offer, such as a balance transfer or bonus miles, but long term the card is not the best fit for their needs. Airline co-branded cards, which usually charge an annual fee of $75 or more, are popular with credit card customers. However, the study finds that 44% of airline card customers appear to have the wrong card for the following reasons: they spend less than$500 per month on the card (the typical amount needed to earn enough rewards to cover the average annual fee); they haven’t used the airline benefits accrued in the past 12 months; or they have not redeemed rewards in the past 18 months. As a result, these customers have lower overall satisfaction than do those who have the right card (scores of 768 vs. 800, respectively, on a 1,000-point scale), spend less per month on their card ($1,150 vs. $1,851) and have a higher intent to switch cards (16% vs. 8%). Miller says customers and card issuers share responsibility for finding the right card. He says customers need to understand their card’s fee structure and rewards programs, and make sure it best meets their needs. Issuers should make sure customers are aware of the benefits of their card and how to use them, and should review their customers’ profile and spend history to recommend the right card for them. Winning with Mobile: Customers who use their credit card issuer’s mobile app have overall satisfaction of 843, compared with 791 among those who do not use a mobile app. Furthermore, overall satisfaction jumps to 895 when the issuer provides a satisfying mobile experience (mobile interaction score of 800 or higher). In addition, as it has since 2013, mobile remains the most satisfying interaction channel for credit card customers. Satisfaction when customers use their credit card issuers’ mobile app is 858 in 2016, compared with 845 when they use a call center and 835 when they use the issuer’s website. Emerging Affluent Are Early Adopters: Customers in the Emerging Affluent category—those younger than 40 with an income of $80,000 or more—are quick to adopt digital service channels, showing a preference to avoid personal interactions when possible. Among Emerging Affluent customers, 28% have interacted with their issuer via mobile, 45% have resolved a problem via their issuer’s website and 43% have used a mobile payment app. In comparison, among all other customers, only 7% have interacted with their issuer via mobile, 22% have resolved a problem via their issuer’s website and 13% have used a mobile payment app. Limit Problems, Keep Customers: Problem rates have remained consistent during the past four years, with 11% of customers in 2016 indicating they have had a problem or complaint with their credit card. However, among customers who have experienced a problem, 13% say they “definitely will” or “probably will” switch cards, compared with 3% among those who did not experience a problem. Discover (827) ranks highest in customer satisfaction with credit card issuers for a third consecutive year. Discover performs particularly well across all six study factors. American Express (825) ranks second and Capital One (799) ranks third. The study, now in its 10th year, measures customer satisfaction with credit card issuers by examining six factors (in descending order of importance): interaction; credit card terms; billing and payment; rewards; benefits and services; and problem resolution. Overall satisfaction is at a record high of 796, surpassing the previous high of 790 in the 2015 study. The 2016 U.S. Credit Card Satisfaction Study includes responses from 20,206 credit card customers. The study was fielded fromSeptember 2015 through May 2016. For more information about the U.S. Credit Card Satisfaction Study, visit http://www.jdpower.com/resource/us-credit-card-satisfaction-study. See the online press release at http://www.jdpower.com/pr-id/2016153.